If a creature is stolen twice and the most recent effect ends, does the previous one take effect again? Hey Strangelove, neat deck! Looks really solid budget deck; you've got a lot of really good cards that have high impact at low cost. I noticed that you're not running Ashnod's Altar . Any reason, other than budgetary, that it isn't included? Seems like a pretty sweet sac outlet. 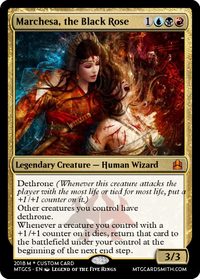 I see that you have Falkenrath Noble in your Maybeboard, but have you considered running Zulaport Cutthroat , or the classic Blood Artist ? If you're murderin' critters every turn, both of those guys can be pretty useful. Not sure how much you're trying to avoid gaining life, in order to ensure Marchesa, the Black Rose 's Dethrone trigger, but they might prove to be useful in some conditions. Smart to include Shriekmaw in the deck. Have you considered any other creatures with Evoke? They combo well with the Unspeakable Symbol . Ingot Chewer and Mulldrifter seem like they'd do nicely, perhaps. 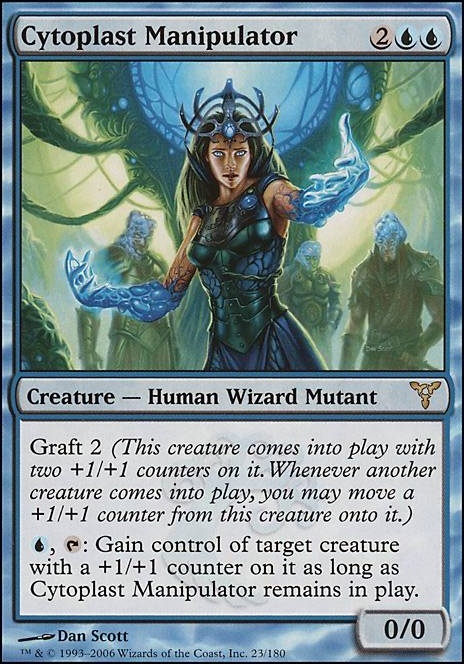 On the subject of abilities: looks like you've included a few Graft creatures in the deck. Have you at all thought about adding Cytoplast Manipulator ? I've had that card perform miracles in my deck. Steal a dude, +1/+1 it somehow, kill it dead, and it becomes yours! Have you thought about adding in Treasonous Ogre to your deck? 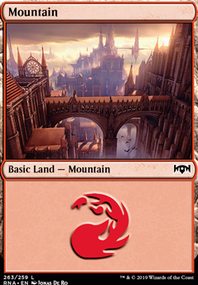 Runs similarly to Unspeakable Symbol , but with red mana instead of +1/+1 counters. Has been used to save my bacon more times than I'd care to mention in my games. With all the ETB triggers in your deck, you may want to think about adding Noosegraf Mob , since it'll net you zombies, and sets itself up to come back easily, if the last counter isn't removed from the card. 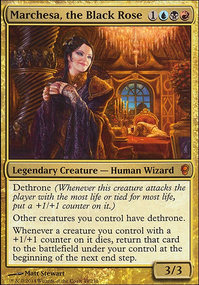 Dunno what your budget is, but you may want to consider swapping Butcher of Malakir for something like Dictate of Erebos , which can be used in hilarious ways due to the Flash ability. Another inclusion you may want to consider is River Kelpie , since you're relying heavily on Marchesa, the Black Rose 's Dethrone to pull stuff outta the 'yard. Have you put any consideration into using cards that have an Outlast-like effect? Mer-Ek Nightblade and Herald of Secret Streams seem like they could be useful in your deck. Lastly, I noticed you don't have a Reef Worm in your deck. Not sure if that's a personal choice or what, but let me tell you, it has given many excellent performances in my deck. Being able to loop it several times has proven to be a game ender on more than one occasion. Anyway, amazing deck! Looks like it'd be an absolute blast to play, and it can be made without breaking the bank! Strangelove, Thanks for the compliment! I'll be sure to check your deck out too! I ran Flayer of the Hatebound when I was testing the deck out to see if I wanted to put any money into it. I like how it performs, but the mana cost is pretty steep. 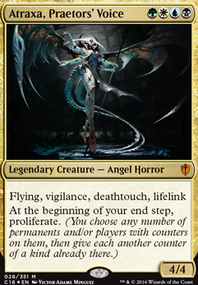 It also only counts if the creatures come from my graveyard, whereas Marchesa, the Black Rose usually takes creatures from my opponents' graveyards. Similar deal with Geralf's Mindcrusher . 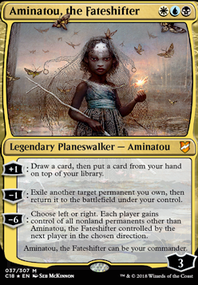 Really cool card, but the cost is a little too steep for the effect. Think I might need to add that one to my The Scarab God deck though, so thanks for the recommendation. Brine Shaman is pretty cool, but I dislike the fact that I have to tap it to sac a creature. I try to keep my sac outlets repeatable, in case I need to evacuate my field for whatever reason. Molten Primordial was alright when I first played the deck, but the cost wasn't worth the effect. More often than not, only one or two players have creatures worth stealing. Tried Mob Rule and wasn't a fan of the performance it gave. Maybe I was using it wrong. Abyssal Gatekeeper , Fleshbag Marauder & Co. are great for keeping opponents' fields empty, but that isn't necessarily what I want. I steal my opponent's Sun Titan (or whatever) using Portent of Betrayal (or another stealing card), swing at the opponent with the highest life total to trigger Marchesa, the Black Rose 's Dethrone ability, sac Sun Titan to the Phyrexian Altar , Ashnod's Altar , etc., and then the Sun Titan is mine for keeps! I do make thorough use of the Abyssal Gatekeeper , Fleshbag Marauder , etc. in my Meren of Clan Nel Toth deck, and they're absolutely great in that one! Just not too sure if they fit the theme here. Macabre Mockery is pretty great. I might have to find a spot in the deck for that. Thanks for pointing it out to me! I like Overtaker too, but the cost of 4 mana and a pitched card is pretty steep. Graft seems like a neat idea, but I'm not sure if it'd fit in with the rest of the deck too well. Cytoplast Manipulator would be the only Graft card I might consider. It seems pretty fragile, to be honest. While I absolutely love the effect of Prince of Thralls the sheer cost of getting it out is too expensive, even with the Demon's Herald ability. Thanks so much for all of the suggestions! I'll be sure to check out your deck and see if I can make any recommendations as well.